We know this image is from a stereocard which was given to the museum around 1960 and it says "Kemp Family" on the rear. We have another photos of the same house with "Grandma Kemp", and one which might be the same mother and child which is inscribed "Marie Kemp and child at Odell." Can anyone fill us in on the Kemps? If you go back to the photo taken of the family in Glenwood posted on 6-11-2012 you can read about the Kemp, Odell and Rhodes family.. All the informtion is there. The Frederick Kemps came to Oregon in 1877 and to the Odell area in 1881. But the family was well traveled before they ever arrived in the valley. Frederick and Alice were both born in England and migrated to Canada in late 1859. Apparently, they soon decided the country across the border looked better to them. But what year that would have been or where the first two children were born, I do not know. Mary Elizabeth (always called Bess) was born in 1864 and Alice Maude was born in 1867. Harry, the oldest son, was born in Harrison County, Iowa in 1870. The fourth youngster, Lela Emily (my Grandmother) was born in Texas in 1873. Indian trouble was the reason given for relocating yet another time, to Springfield, Missouri. A second son, Frederick was born there in 1874. The following year, another daughter, Nettie, joined the family. In 1877 the Kemps loaded up their possessions and helped form a wagon train bound for Oregon. They first settled in The Dalles and Mr. Kemp obtained employment with the Oregon Railroad and Navigation Company. He was apparently a fine blacksmith and never had a problem finding a job anywhere the family lived. Somehow, Mr. Kemp became acquainted with William Odell, one of the earliest settlers of the Odell vicinity and in 1881, purchased land from Mr. Odell. The family built a home on a knoll a short way east of the present Odell highway. Two more sons were born, William in 1882 and Dane in 1886. After the Kemps moved to Odell, they must have finally found the place they had been searching for. Their traveling days were over! With the exception of two daughters, Bess and Nettie, who married and left the valley, the rest never strayed far or for very long from the homeplace the remainder of their lives. Two children died in young adulthood. Frederick Jr. was killed in a wagon accident in 1893 and Lela, who married Charles Peter Odell in 1892, passed away Feb. 14, 1899. She left an infant daughter, Eunice (who was my mother). Harry homesteaded on Fir Mountain when he was a young man. I have a picture of the entire family taken on the mountain. Unfortunately, it has faded too much to reproduce. Harry married Katherine E. Davenport in 1908. They lived on the road now known as the Odell highway. Kate was an invalid for the last years of her life. I remember going down with my Mother to visit (we lived just up the road). There was a wooden swing on one end of the front porch. And there I’d swing while the grown-ups visited inside. The house was not far from the road but there was a hedge of poplar trees in front, also you had to go through a gate to get in the yard. It was most secluded and interesting to a youngster. There was a small bridge that spanned the creek behind the house. The house itself was always closed up tight and very dark inside. Years ago some thought fresh air was bad and unhealthy. Aunt Kate must have subscribed to that theory. Dane married Marie Lockman and they lived across the road from the Harry Kemps. They had two children, Helen born in 1912 and Frederick in 1918. Sadly, they lost both to illness. The son died in 1927 and Helen in 1933. William Kemp lived just past Dane’s in the house his father built. For many years, Will and Dane had a ranch up close to the community of Mt. Hood. This was just pasture and hay land, neither of them ever lived there. The Kemp family gave the land that the Odd Fellows Lodge Hall was built on. Indeed, all were charter members of the Odd Fellow and Rebekah Lodges. The men’s lodge was even named for the family. Maud married Orson Rhoades and two sons were born to that family, Louis and Loyal. One of the few childhood memories my Mother shared with me concerned Aunt Maud. When Maud’s father-in-law passed away, he left money to the family. Aunt Maud decided to have some dresses made, she hired a dressmaker to come to the house and generously included Mother on the receiving end of the project. It was evidently one of the high spots of her young life. Because seventy plus years later she could recall every detail of those two dresses. It must have meant a lot to a little girl who had lost her mother when just a baby and her father not many years later. How wonderful that her Aunt Maud thought and cared enough to give her such a gift. Dane and Marie spent the first year of their married life in Shaniko when it was the Wood Capital of the world. I never grew tired of listening to their stories of the exciting times up there. It was just too busy and bustling for them and back they came to Odell. Dane and Will lived next door to each other and always farmed together. Dane from boyhood had delicate health and Will seemed to shoulder the heavier tasks for him. When Dane passed away in 1959, Will died the following day. Relatives said that Will had spent a lifetime looking after his brother and apparently felt that what was begun in this world must be carried over to the next one. The Kemps are all laid at rest in the Pine Grove Cemetery. They were industrious, honest, dependable and good neighbors. None of them ever became wealthy or famous. But it was people like them who paved the way for all of us who followed. Frederick Kemp, one of the most widely-known men in Hood River valley, died last Sunday. Thank you to Jeffrey Bryant for all the additional information about the Kemp family. Received March 23, 2013. Mr. Frederick Kemp of the East Side died suddenly, Saturday, October 26th, of Erysipelas, and was buried Sunday. Mrs. Kemp has been dangerously sick with the same disease, but is now improving. Deceased was about 50 years of age, a respected citizen, whose death is a loss to the community. EDITOR GLACIER: As I have seen nothing in any of the county papers about the late Mr. Kemp, except a mere mention of his death, permit me to say a few words of tribute in memory of a friend, a neighbor and a Christian. Frederick Kemp was an Englishman by birth, being born in Hornsea, Yorkshire, England, March 10, 1839, and was over 56 years of age. He came to America in 1855, when only 16 years of age, and after traveling as far west as Illinois, was married in that state, at Erie, in 1863, to Miss Alice Raworth. He came to Oregon in 1876, first settling in the Willamette valley, where he resided a few years. 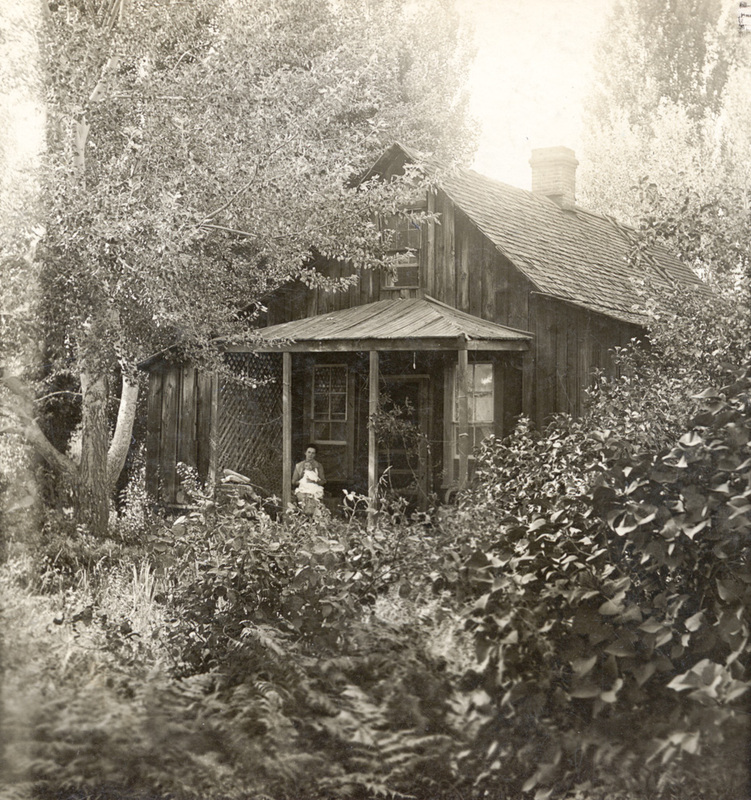 After this he moved to The Dalles, where for many years he worked as a blacksmith in the shops of the O. R. & N. Co., accumulating a small competence, with which, in 1883, he bought land and made the beginning of a home for his family in Hood River valley. Here he labored and toiled till almost the last day of his life, when on Saturday evening, the 26th of October, he closed his eyes to rest forever from his work here on earth. Mr. Kemp was a man of many excellent qualities, sober, industrious and honest - one "whose word was as good as his bond," and withal a true Christian. Added to this, true to his English blood, he had the grit to be a brave man to the end. Though he worked most of the time, he had been suffering considerably the last few months, but none of us knew exactly what the trouble was. Then he had a fall, week or so before his death, which no doubt hastened the close of his life. Those who saw him after his hurt were impressed with the patient dignity of his pale face, but none guessed that, with the courage of a hero, he was fighting his last fight and was hiding his mortal suffering lest he should divert attention from his wife lying at the point of death. The 1880 census has the Kemp family (Frederick, Alice, and children Maud, Henry, Lela, Frederick, and Nettie) in Sublimity, Marion county, with Frederick listed as a farmer--but he also appears in the 1880 census for Cascade Locks, Wasco County, without his family, in probably a boarding house for men, occupation blacksmith. So maybe he was in transition that year. Re the mystery of the hops in the photo that Arthur provided the link to: I wonder if that was taken in Marion County? Hops were a big crop in the Willamette Valley, and entire families would go to hop farms to work during the harvest. This may have been just a photo of some Kemps and other families working on a particular hop farm. Just a guess.